Growing homegrown peas has always been a favorite by home gardeners. They are delicious fresh or cooked, and store exceptionally well. They freeze wonderfully, and are an easy crop to put up by canning. Regardless of the variety of pea you're growing, if you choose to can them, or pickle them, you'll have a wider window of when you can harvest them. 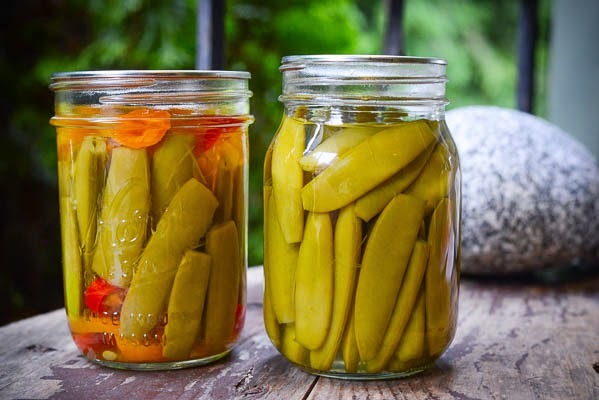 Pickling them will soften and sweeten even the more starchy pods, so if you're a little late in your harvest they'll work just fine for canning. 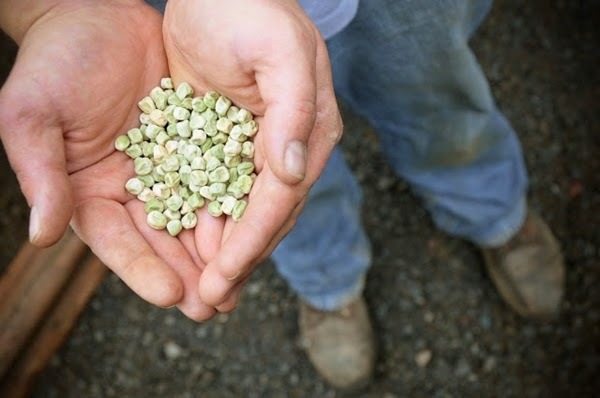 You'll start by planting your peas, early in the spring, as soon as your soil is workable. 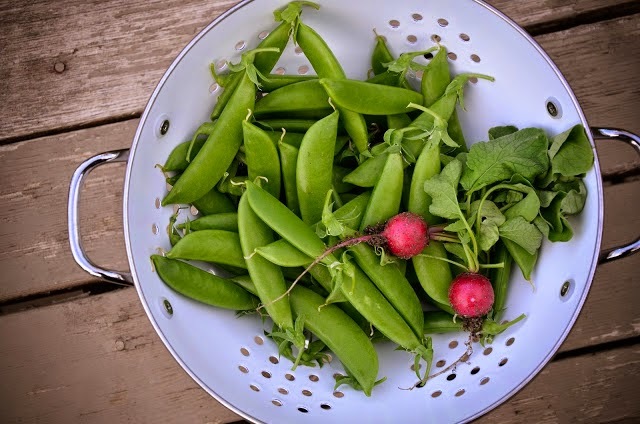 Peas are a wonderful cool-season crop, so you can usually even sneak in a fall harvest of peas if you have room in your late summer/early fall garden. When planting your seeds, put them no deeper than an inch into the loosened soil. Place them 2 inches apart. 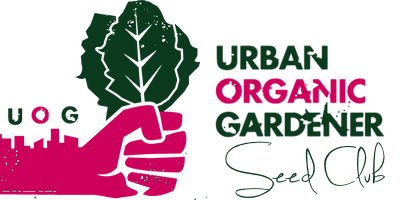 Try making your rows up against a fence or trellis line so they'll be able to climb and grab onto them as soon as they are mature enough. 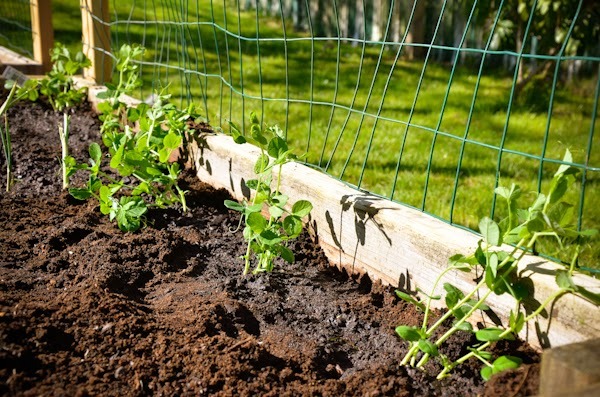 Peas can be grown in many different soil types, but they do require good drainage. Try to keep them in soil with a pH of around 5.8-6.3. 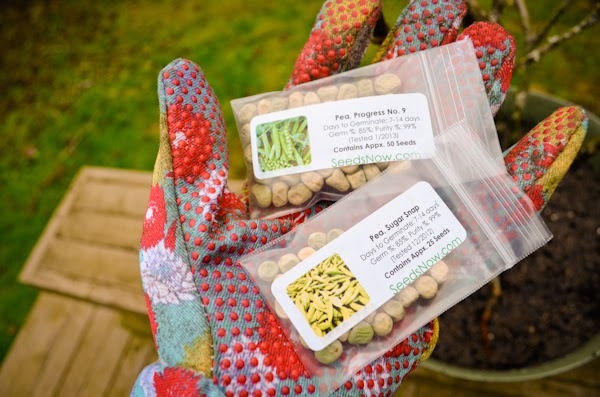 View our full "Grow Guide for Peas", here. 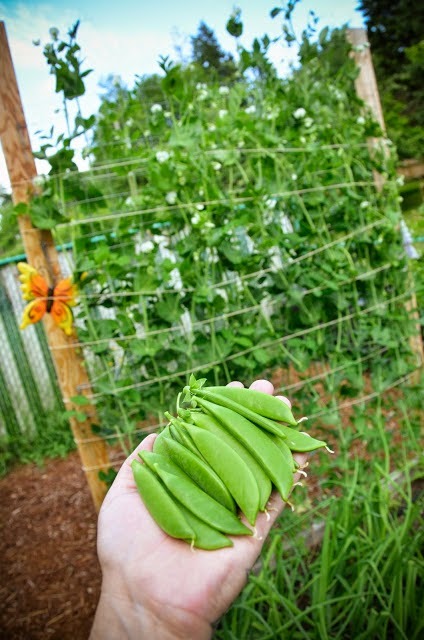 Once your peas are ready to harvest, you'll need to continue to pull them from the vine on a daily basis. This will go on for a week or more if you have used succession planting methods. If you plan on using them fresh, they are best used as soon as you harvest them. They will also keep well in the refrigerator for a few days. 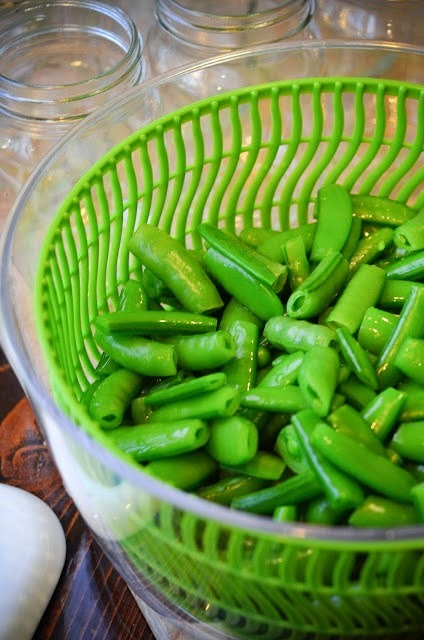 If you're looking to store your peas for "longer storage", you can blanch and freeze them, or pickle them. They do well with both methods, but pickled peas are quite the delightful addition to salads, sandwiches, cheese/fruit trays, or for snackin' right out of the jar. 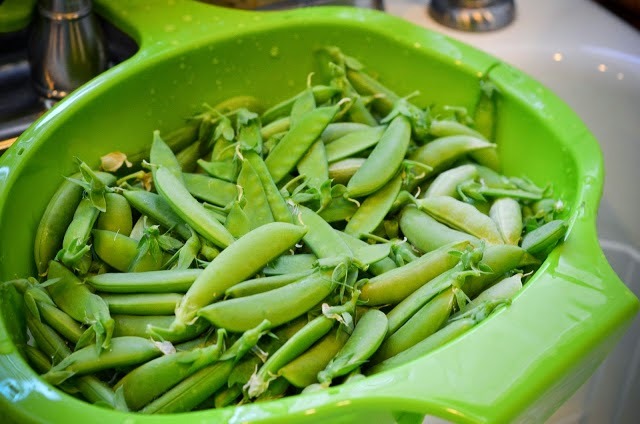 Put the snap peas in a large stainless steel or plastic container and pour the salt water over them. Let them brine for about 12 hours in the refrigerator. After that time, drain and rinse the pods well with cold water. In a stainless steel pot, bring the vinegar, sugar and spices to a boil. Allow to boil for a couple of minutes. Add the rinsed peas and bring to a boil. Turn down the heat and boil gently for a couple of minutes, enough so the pods are heated through. Pack the pods into clean, hot jars. Add hot pickling liquid, leaving 1/2 inch of headspace. (If you have leftover liquid, try making refrigerator pickled red onion. It's delicious on sandwiches.) Wipe rims, center lids on top, and screw on bands to fingertip tight. Process in a water bath canner for 15 minutes then let the jars rest in the canner for about 5 minutes before setting them to cool. Eat right away or let them sit for a few weeks for the flavors to mellow. Try experimenting with your favorite "pickling brine" or adding peppers and garlic to your pickled peas. This recipe can be changed to suit your taste and the flavors you love.